NEW YORK, November 15, 2018	(Newswire.com) - ​Social media plays a part in daily life. According to the Global Digital Report; in 2018, the number of social media users worldwide is 3.196 billion, up 13 percent year-on-year. From reading world news to contacting people from the past, it has become a routine to check every application available. 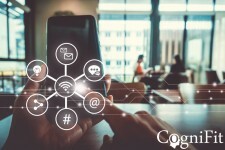 CogniFit recognizes the importance of social media. It is constantly engaging the community through different platforms and offers the opportunity to log in its app through social media. This helps users apply social media not only for social purposes, but for business, wellness, and other areas well within the tech world. This constant need to be online has an impact on cognitive skills and emotions. With its 19 years of experience, CogniFit; a leader in cognitive tests and training, knows the importance of cognitive skills in daily life. Social media can aid or hinder certain cognitive skills; however, constant training is important for neuroplasticity, which is the capacity of the nervous system to change its structure and its function over a lifetime. 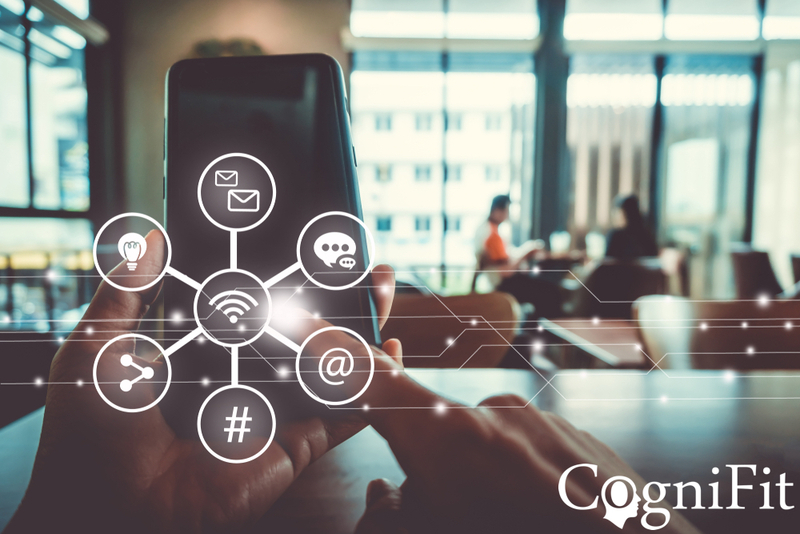 CogniFit scientists explain a list of 6 cognitive skills affected by social media. Critical Thinking: According to the Economic Research of South Africa (2015), social media may affect the development of critical thinking in University students. This means that cognitive skills that aid critical thinking, such as planning and speed processing cannot perform properly. Divided Attention: Filtering information and focusing on the relevant aspects might be enhanced by using social media; however, it might be detrimental for divided attention. Constantly checking the smartphone and switching from one app to another does not imply a great divided attention. On the contrary, a study in Proceedings of the National Academy of Sciences (2009) found that high social media users performed worse when switching from one task to another than moderate to light social media users. Decision-making process: Having an altered divided attention may impair the decision-making process. Too many options might make it difficult to focus, plan and update our behavior to what is needed for the decision. Inhibition: According to Kelly Quinn, clinical assistant professor, from the University of Illinois at Chicago (2018), social media enhances the inhibition process. Users are constantly ignoring or inhibiting the overload information coming from social media, which helps to prioritize the type of information they need. Visual Memory: Social media can also enhance visual memory, a study in the proceedings of the Royal Society: Biological Sciences (2011), found that a larger social media network relates to a higher density in gray matter in the right superior temporal sulcus, left middle temporal gyrus and entorhinal cortex. Grey matter is associated with social perception and visual memory. Therefore, the user will have greater performance in visual memory the more friends and engagement the user has in social media. Professor Qi Wang, who published a study in Memory Journal, established that looking at pictures on social media can trigger memory systems and aid memory recall and contextual memory. Activates the brain’s reward system: The same way chocolate and pleasant activities increase that feeling of happiness and satisfaction in the brain; Sherman et al. (2016) discovered that social media, in particular, likes posts, pictures, etc. activates the brain’s reward system. These researchers were able to see that viewing photos increased activity in neural regions implicated in reward processing, social cognition, imitation, and attention. As seen above, social media may aid or hinder certain cognitive skills; however, it is important to keep in mind, training other cognitive skills to increase neuroplasticity. Maintaining optimal cognitive skills enhances day-to-day tasks and helps prevent cognitive decline related to aging.